"Creating Bright Smiles For You"
NEW: WE ARE NOW IN NETWORK WITH METLIFE AND CSEA! Call us today to find out how you can become a new patient. Thank you! Corning Dentist, Dr. Zeng is dedicated to cosmetic dentistry such as Exams, Teeth Whitening, Veneers and more. 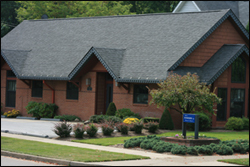 We are looking forward to your visit to our Corning, New York dental office.